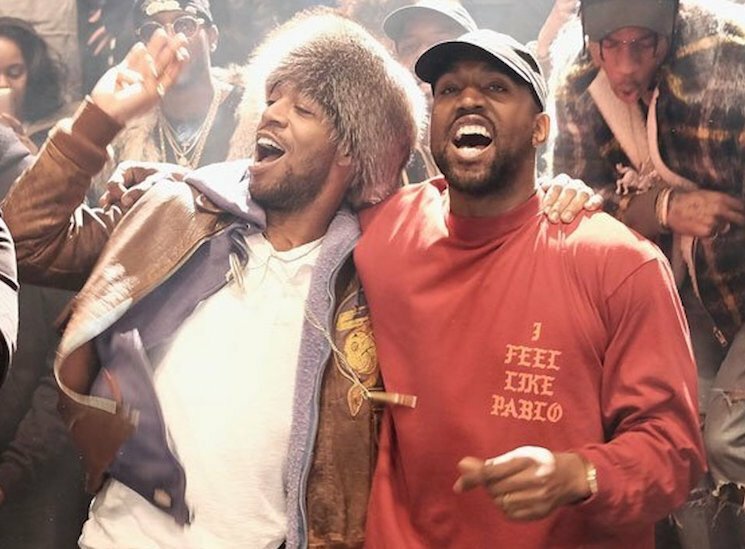 A week after flying all manner of friends, collaborators and influencers out to Wyoming to take in ye, Kanye West is now set to host a listening event this evening for his collaborative Kid Cudi album Kids See Ghosts. Not unlike last week's event, those who are unable to attend the Los Angeles event will be able to stream the proceedings through the WAV app. Taking to Twitter today, Kid Cudi revealed that the listening event will kick off at 8 p.m. PDT (11 p.m. EDT). The album is expected to see release on digital platforms shortly after midnight. Earlier this week, West and Cudi revealed the album's Takashi Murakami-designed album artwork. Like ye and Pusha-T's DAYTONA before it, Kids See Ghosts will run seven tracks in length. You can pre-order ye and Kids See Ghosts (or both!) on vinyl via Umusic.